WAIT! There is a botanical explosion happening right now at Saks Fifth Avenue that includes more than 100,000 flowers that are displayed along the likes of fragrances from Givenchy, Chloe, Kilian, Jo Malone, Chanel and more. The floral motif extends beyond the windows and blooms inside the store. There are huge arrangements throughout the main level and continues through the upper floors. The spring garden has well and truly takeover will extend to all Saks Fifth Avenue locations – so if you aren’t in the City, then don’t worry it’ll be near you soon! 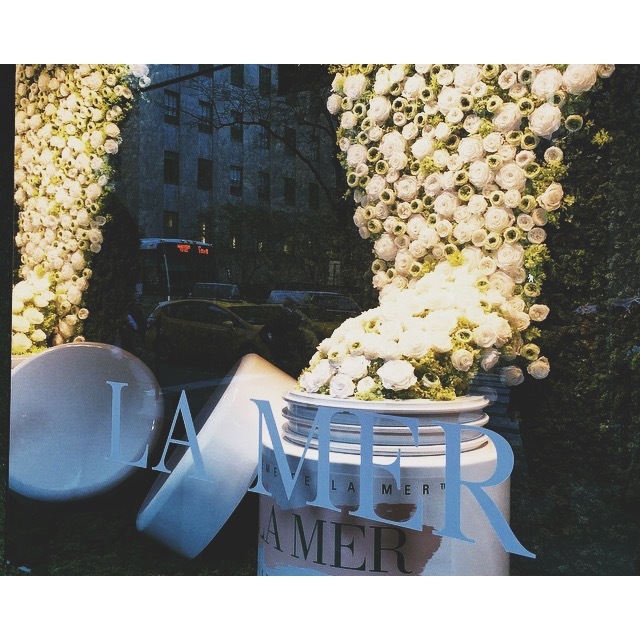 Check out my favourite window below: none other than Creme de la Mer! Go behind the scenes with Mark Briggs from Saks Fifth Avenue here! This entry was posted in Beauty & Grooming and tagged america, asks fifth avenue, creme de la mer. Bookmark the permalink.